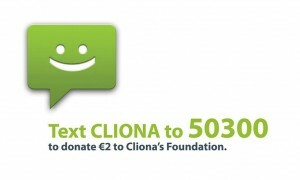 Cliona’s Foundation is launching our first ever urgent appeal. We have never turned away a family in need who qualified for funding but now, for the first time since we opened our doors in 2007, we might have to. We currently have 15 families on our books in desperate need of help and need to raise funds; we need your help to raise €22,500 so that we can help these families. Many of the applications that we receive are of an urgent and desperate nature and these families cannot afford to wait to receive funding. 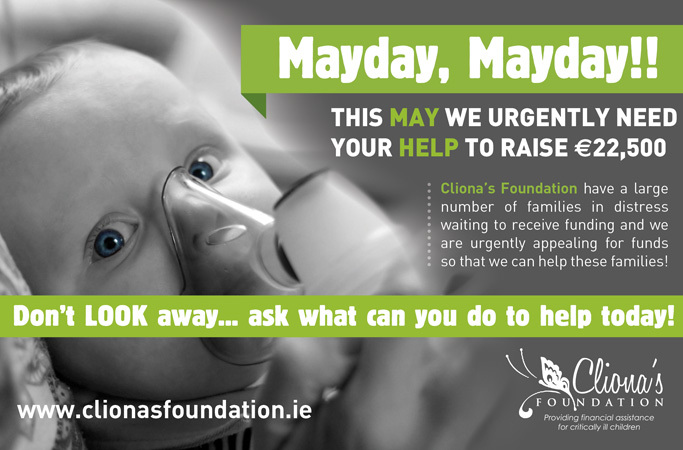 Please give what you can by donating through our website www.clionasfoundation.ie, by sending a donation to Cliona’s Foundation, Unit B3 Eastway Business Park, Ballysimon Road, Limerick or by calling 1800-901090.